One of the key principles I focus on in my Media Literacy class is the "Truth Effect" - known in psychology as the "Illusion of Truth Effect." Basically, the "Truth Effect" claims that we are more likely to believe things that we see and hear frequently. For instance, most people readily accept the idea that "diamonds are forever" (and therefore are an important symbol of love and matrimony) as if it was the eleventh commandment. Yet, this widely held "truth" is the result of a very clever and successful 1947 ad campaign by DeBeers. Over time, the slogan and associated images have become such a familiar part of our environment that the assumption they convey goes completely unquestioned. And this is what makes studying media literacy so important and so difficult at the same time - in order to really look at what we believe and why we believe it, we need a way to alter our perspective. Mork: If Holly liked him so much, how come she punched him and told him he was weird. Mindy: Boys and girls often punch or push or hit each other as a sign of affection. Mork: Punching and pushing and calling someone names means you like them? Mork: Then the cowboys and Indians are lovers? While the childlike innocence of Mork's analysis may not shed much light on the motivation behind the silly things that Earthlings do, it does help to point out just how absurd they may actually be. And that's why being able to think like Mork from Ork is a very valuable strategy in understanding media and its effect on us. When we really are able to step back, remove ourselves from what we assume to be true, and look only at our actions, it lets us get beyond the lure of the "truth effect." So when we look at the tradition of buying diamonds for engagements, anniversaries, and so forth, from the perspective of a space alien, it suddenly just looks like Earth men putting shiny rocks on the fingers of Earth women. And then we can start to ask why. 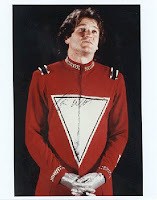 So, while many of my students have never heard of Mork at the outset of my course, I encourage them to make use of the "Mork from Ork" principle when it comes to viewing commercials and even examining their own spending patterns. I've also found this exercise useful in my own life, especially when I start "sweating the small stuff." What can the "Mork from Ork principle" do for you? There's some significant overlap between this and the satirical device of the naive narrator. Gulliver is probably the most classical literary example of this, but in teaching, I always liked to use the more contemporary example of Borat - a foreigner comes to this new land and observes all the weird customs from a position of complete childlike ignorance, much like Mork. His innocence allows the audience to view otherwise "normal" (read: typical) behavior in a new light (see also The Body Ritual of the Nacirema). In Borat's case, Sacha Baron Cohen uses his naivete primarily to identify bigotry, specifically anti-Semitism; however, I think the principle is also helpful in isolating behaviors from social contexts in order to increase desired or decrease undesired behaviors, in ourselves or others. When we remove the societal 'baggage' from behaviors, we can look at them from a more functional perspective, which then allows us to better understand why behaviors occur, and at what frequency. Thanks for the thoughtful response, Damian. Ironically, one of my students did mention Borat recently when I began talking about the Mork principle. And, yes, now that I think of it, the Nacirema concept also works in the same way. I'm also reminded of "The Gods Must be Crazy." I don't know why I didn't think of this before, but isn't this also the source of humor behind the "Area Man" headlines in the Onion? Not that the headline writer is truly "naive" in the childlike sense, but that he/she invests his/her headlines with such completely objectivity that it misses the obvious point? 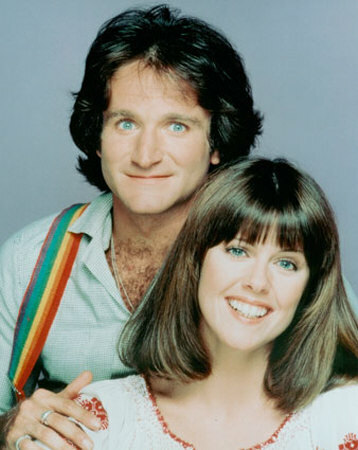 Of course, my insistence on referring to Mork in class shows just how deeply stuck in the 70's I must be. The Most Incredible Guitar in Rock History!